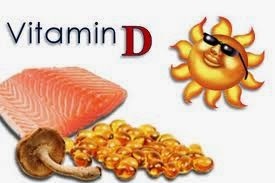 A new finding about vitamin D shows that optimal blood levels of vitamin D are associated with 20% lower blood pressure. That is a rather interesting finding when you understand that there are 53% more heart attacks in the winter than in the summer and heart attacks in the winter are often more severe. We know vitamin D is good for bones and immunity – we might as well add heart health to that list. In light of this information almost all older Americans should consider supplementing 1200 IU to 2000 IU of vitamin D in the winter months.